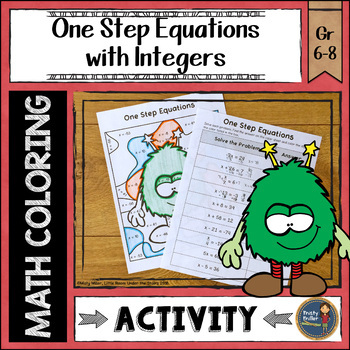 Give your students a math color page that reviews solving one step equations with integers. Problems do involve negative numbers. 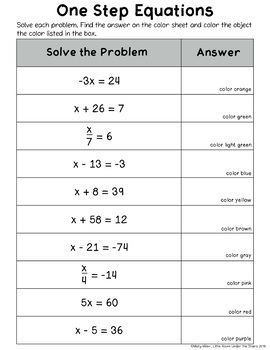 Students solve the math problems and then they use the code to color the picture. 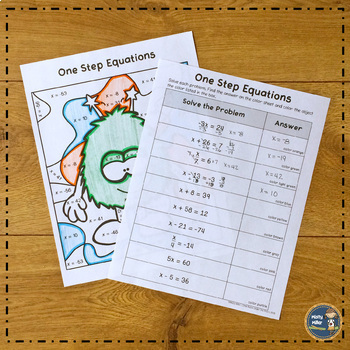 Great to use for math centers, early finishers, or math review.